And that’s exactly what Klock set out to do with the benchmark standard for touring bikes. The new Ride for Kids/Cycle World project bike raffle features a Honda F6B donated by American Honda and customized by Klock Werks. 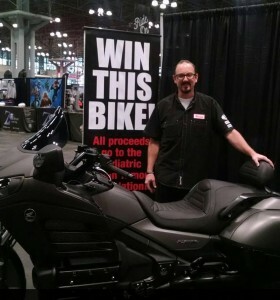 It was on display at the New York International Motorcyle Show December 11th-13th. 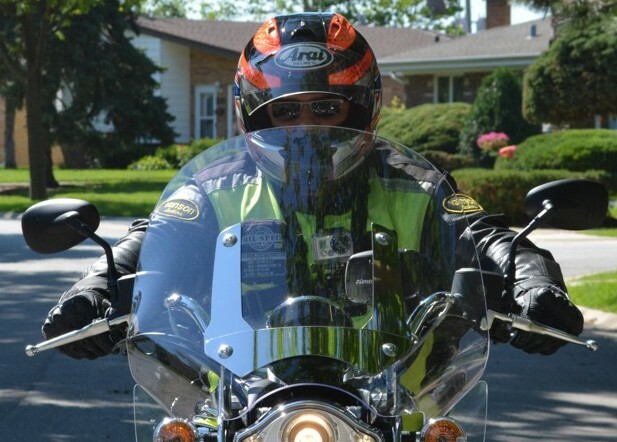 Klock donated his team’s design and labor time for the F6B project, as well as the original Klock Werks Flare™ Windshield. Other donated parts and accessories include front 180/55-18 and rear tires from Avon Tyres, raked 180 tree kit from Hannigan Motorsports, drink holder, saddlebag trim, floorboards and rear reflector from Kuryakyn, Cerrakote flat black exhaust by Liquid Designz, Mustang seat and backrest pad, Eclipse series “Temper” front wheel from RC Components, SoCal Moto Gear’s HID headlights and smoked mirror turn signals, Monster Oval exhaust system from Vance and Hines, and custom badges and license plate frame, courtesy of XYZ Machine. The winner of this decked-out Honda F6B will be drawn in May 2016. 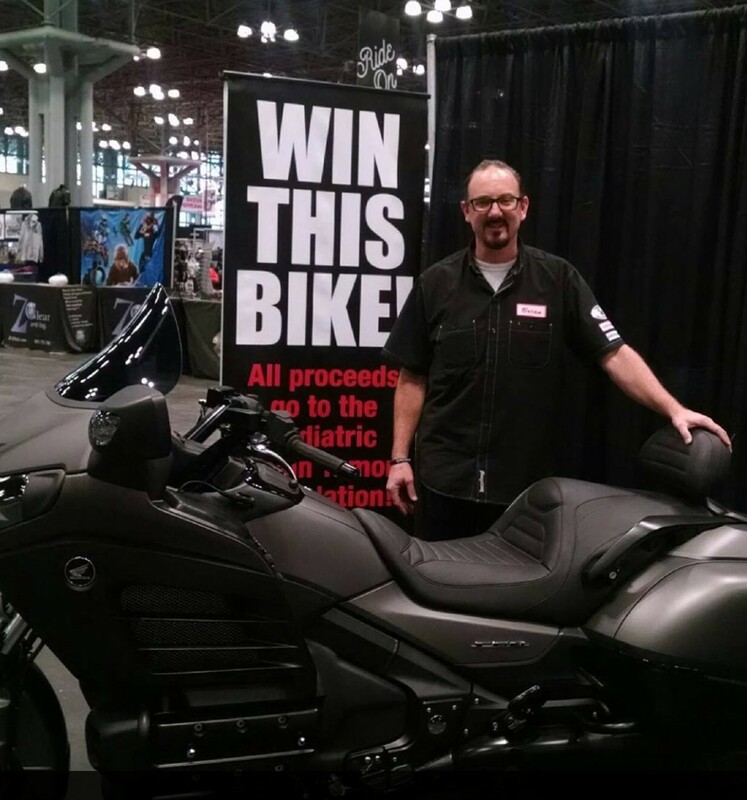 Tickets are available one for $5 or five for $20 at the AIMExpo, the International Motorcycle Shows, the Honda tent in Daytona, the MotoGP in Austin, and The Quail Gathering. They can also be purchased at www.curethekids.org/projectbike.